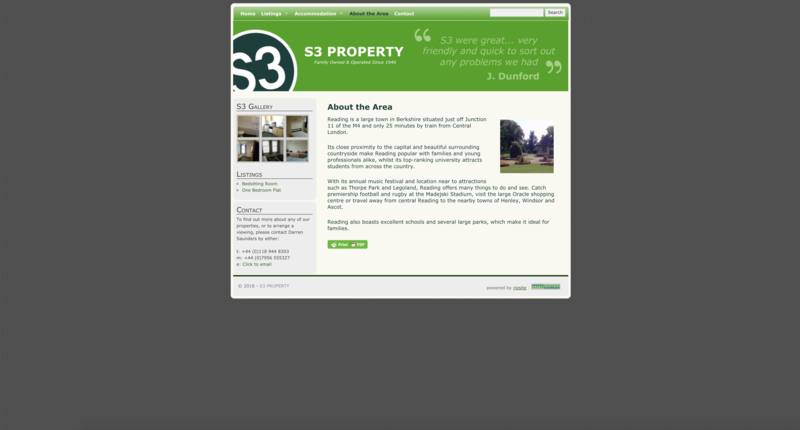 S3 Property is a family-owned business established in 1946. We provide quality residential and student accomodation to the private market in and around Reading, Berkshire. 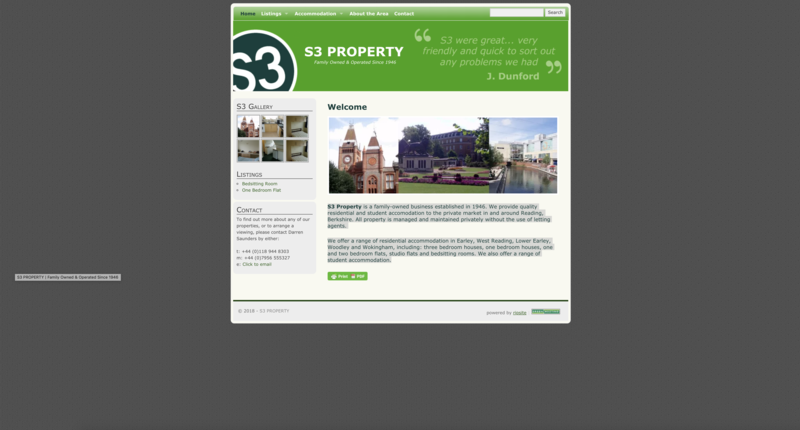 All property is managed and maintained privately without the use of letting agents. We offer a range of residential accommodation in Earley, West Reading, Lower Earley, Woodley and Wokingham, including: three bedroom houses, one bedroom houses, one and two bedroom flats, studio flats and bedsitting rooms. 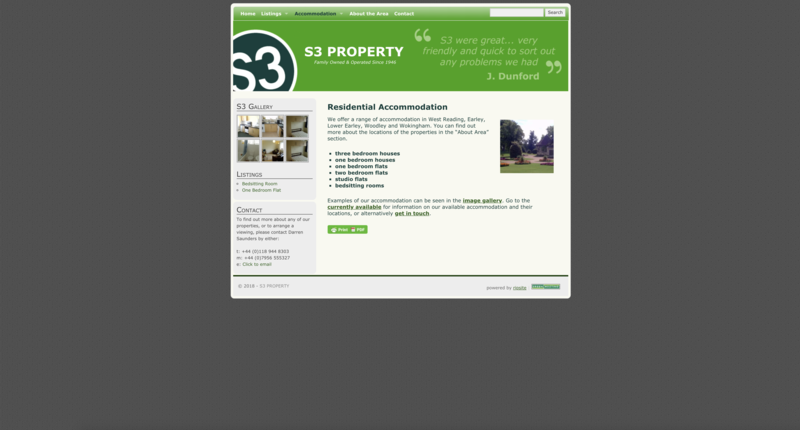 We also offer a range of student accommodation.